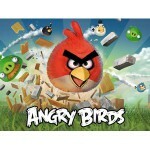 Mikael Hed, chief executive of Finnish gaming company Rovio, says the company is going ahead with a 2016 feature film based on his company’s famous avians, the Angry Birds. But Hed is not happy just making a feature film, he plans on taking the giant of children’s animation, Disney. 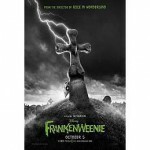 Walt Disney Studios’ “Frankenweenie,” directed by Tim Burton, was named Monday by the New York Film Critics Circle as Best Animated Film of 2012. 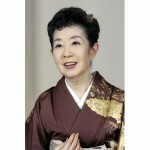 Actress Mitsuko Mori, the voice of Hii-sama in the original Japanese version of Hayao Miyazaki’s 1997 film Princess Mononoke, died Saturday at a Tokyo hospital. She was 92. 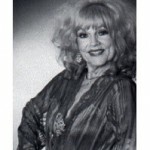 Voice actress Lucille Bliss, who portrayed the title character of the first made-for-TV cartoon series, Crusader Rabbit (1949-51), died Thursday night, animator Dave Nimitz said. She was 96. Sony Pictures Animation will release a sequel to sleeper Hotel Transylvania, said an unnamed spokesman for the studio. Set for release in 2015, the movie is tentatively titled Hotel Transylvania 2. 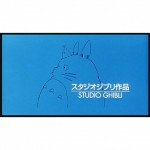 The Cinematheque and the Vancity Theatre, both located in downtown Vancouver, are co-hosting a major retrospective of the films of Studio Ghibli, the world-renowned anime studio founded in Tokyo in 1985 by animation directors Hayao Miyazaki and Isao Takahata and producer Toshio Suzuki. The Walt Disney Company has agreed to acquire Lucasfilm Ltd. in a stock and cash transaction valued at $4.05 billion, the firms announced Tuesday. Lucasfilm is 100% owned by its chairman and founder, George Lucas. 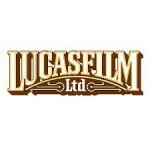 Lucasfilm has been involved as a producer of the animated series The Clone Wars and Droids: The Adventures of R2-D2 and C3P0, as well as the animated movies Twice Upon A Time (1983) and Star Wars: The Clone Wars (2008). The firm also supported Williams Street’s Robot Chicken: Star Wars specials. 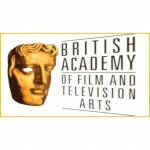 The TV series “The Amazing World of Gumball” has received two nominations for the British Academy Children’s Awards, organizers announced Monday.